1. Institut Esthederm Sun Care Lotion ***($90 CAD)* - reviewed here - I have been obsessed with this sunscreen! I've used this formula pretty much every day in August. I love the typical sunscreen scent, and the formula sinks quickly into my skin. 2. Sephora Disney Ariel Kiss the Girl EDP* ($70 CAD) - Reviewed here - I took the rollerball of this scent with me when I went to the cottage earlier this month. 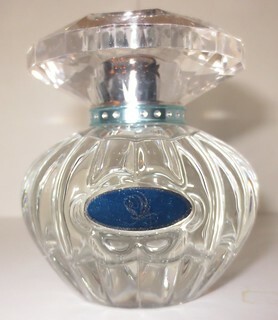 Ever since then, I've been completely obsessed with this fragrance. This is the perfect Summertime scent, but I know I'll continue wearing it into Fall. 3. Bumble & Bumble's Surf Spray ($29.50 CAD) - reviewed here - I've been wearing my hair naturally wavy most days, and I love this product to help create beachy wave. This doesn't make my hair feel crunchy, like some salt sprays can do. 4. 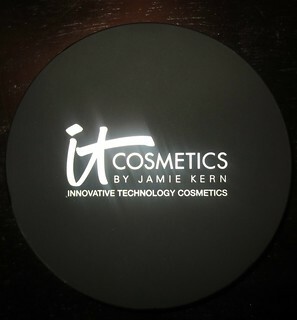 IT Cosmetics Vitality Brightening Face Disc* ($38 USD) - reviewed here - I love that this compact contains a beautiful bronzer, blush, and highlighter all in one! All three products are creamy, and have the perfect amount of pigmentation. This will be a great product to take travelling. 5. 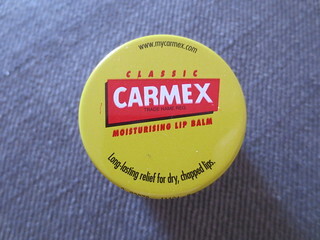 Carmex Classic Moisturizing Lip Balm* - My lips have been fairly dry recently, so I've been turning to this magic lip balm to heal my lips. This formula really is amazing for anyone with dry lips, and I know this is going to be getting a lot of love during the cold Winter months. 6. 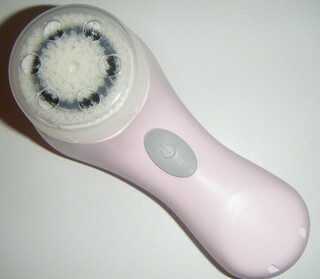 Clarisonic Mia - I've gotten back into using my Clarisonic Mia every morning, and I can definitely tell a difference in my skin. My pores are shrinking, my skin looks brighter, and I'm getting fewer spots. I'm now using the acne brush head, which I do quite like. 7. Maybelline Dream Fresh BB Cream (reviewed here) - This BB Cream offers a light coverage, so I like to use it on days when I'm running errands, etc. On days when I need a bit of a higher coverage, I like to layer this BB Cream underneath another foundation. This formula offers SPF 30, which I really appreciate. 8. The Body Shop's Strawberry Shower Gel ($20 CAD/750ml) - reviewed here - Oh my gosh, this scent is just delicious! I'm really glad I have the jumbo bottle now because I don't want this to run out anytime soon! This formula lathers up really well, and actually helps to hydrate your skin. 9. MAKE UP FOR EVER Lab Shine S4* ($22 CAD) - I've been reaching for this lip gloss a lot this past month. This formula from MUFE is amazing, it's very creamy but not sticky. This shade adds a beautiful sparkle to your lips, and a hint of colour. 10. OPI Alcatraz... 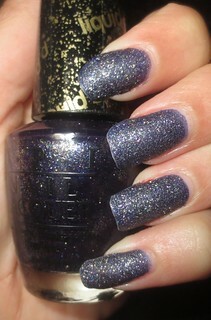 Rocks* (reviewed here) - This polish was released as a part of OPI's new San Francisco Collection. This is this Liquid Sand formula, meaning that it dries to a textured finish. I love the sparkly finish, it's absolutely beautiful!